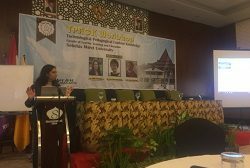 The HEAD Foundation, in partnership with National Institute of Education (NIE), Singapore and Sebelas Maret University, Solo, Indonesia recently conducted an ICT professional development workshop, entitled TPACK (Technological Pedagogical Content Knowledge) in Solo City, Indonesia between 23 and 26 November 2016. The training workshop was facilitated by Dr Chai Ching Sing and Dr Joyce Koh from Singapore’s National Institute of Education (NIE), along with Dr Uma Natarajan from The HEAD Foundation. The workshop focused on several aspects of TPACK – an introduction to TPACK, meaningful 21st learning, adaptation of content and importance of school context, the scaffolded TPACK design model, evaluation of a sample lesson, and designing a lesson based on TPACK. The Foundation also organised TPACK workshops in Indonesia in 2017 and 2018.